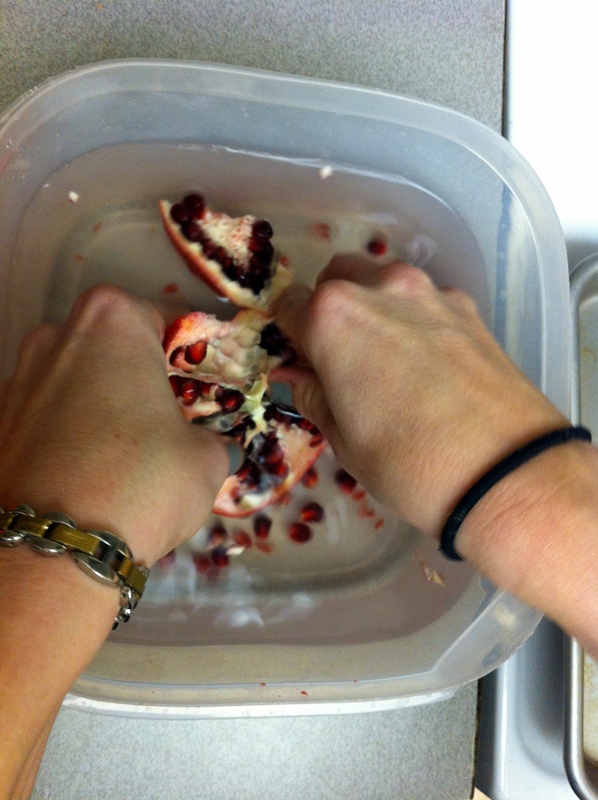 I wasn’t feeling very good this weekend, but lucky for me, my friend Mal stayed in with me on Friday and did cool things with me like figuring out how to get all of the pomegranate seeds out of a pomegranate. 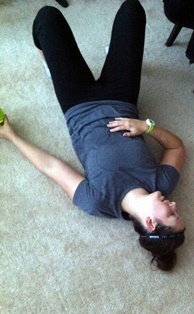 It all started with a trip to Whole Foods to pick up ingredients to make quinoa sliders. 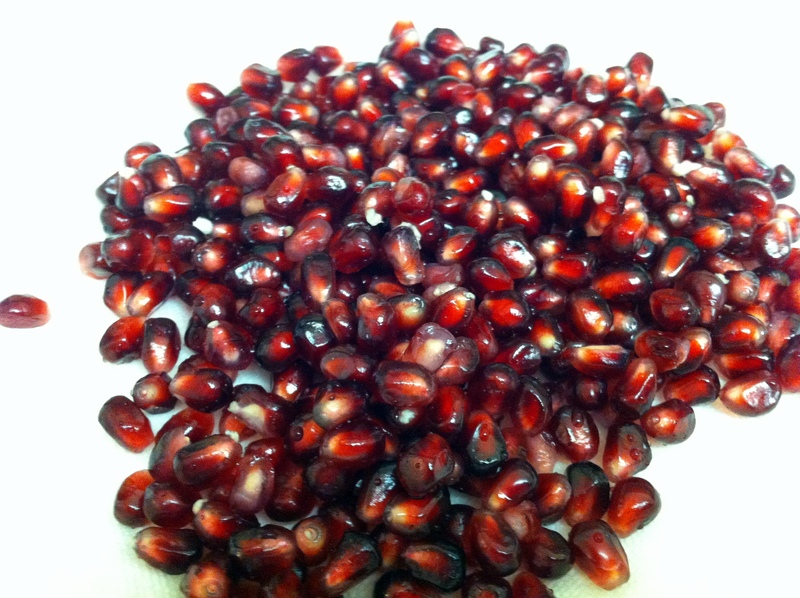 Since pomegranates are currently in season (in the winter) they are all over the grocery stores right now. We were thinking about buying one of the small tubs of pomegranate seeds, but then looked at the price tag. Yeah, not going to buy a bunch of seeds for $8.00. (Unless they’re chia seeds, of course). 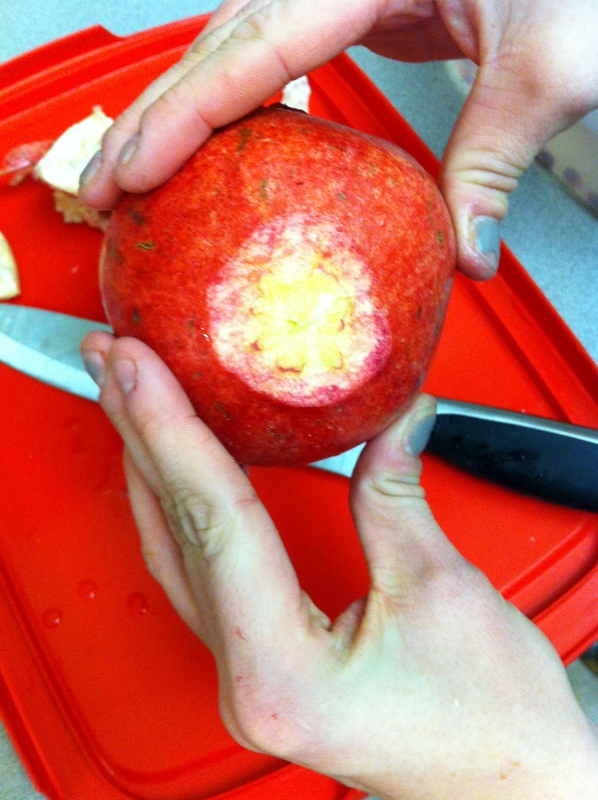 So instead, Mal was nice enough to buy us a fancy Whole Foods pomegranate for $2.99 and she we studied multiple youtube videos of how to cut open a pomegranate and get out all of the seeds. Thank you for being my pom model, Mal! 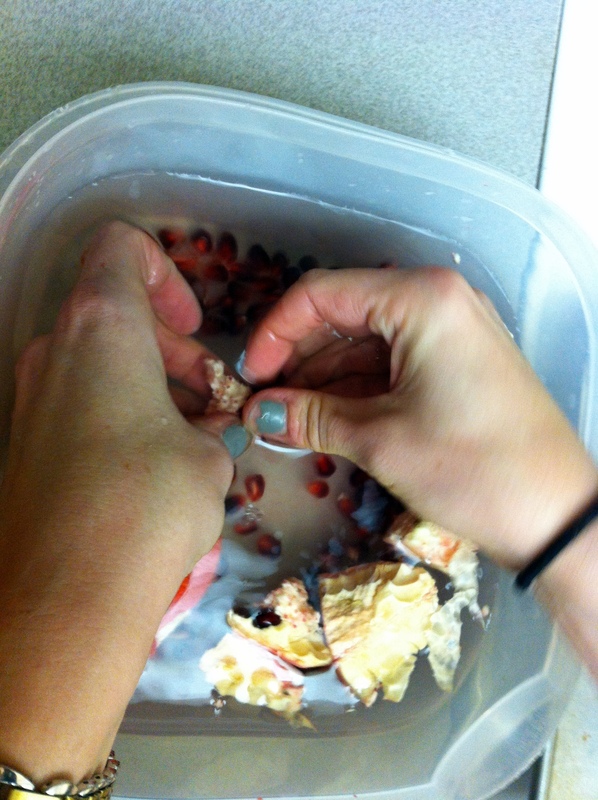 First, cut off the nubbins at the end of the pomegranate. 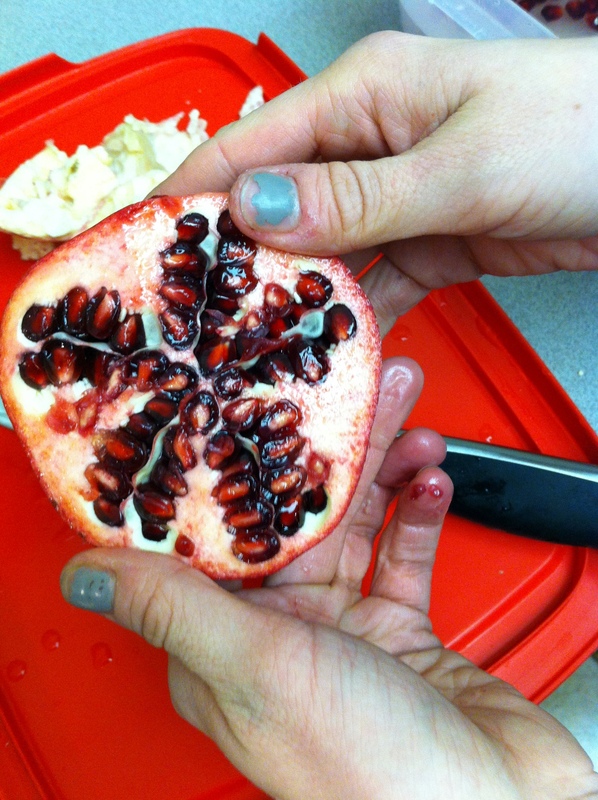 Cut the pomegranate in half vertically – the ends where the nubbins were should be horizontal (don’t cut through those). Look at all those juicy seeds! 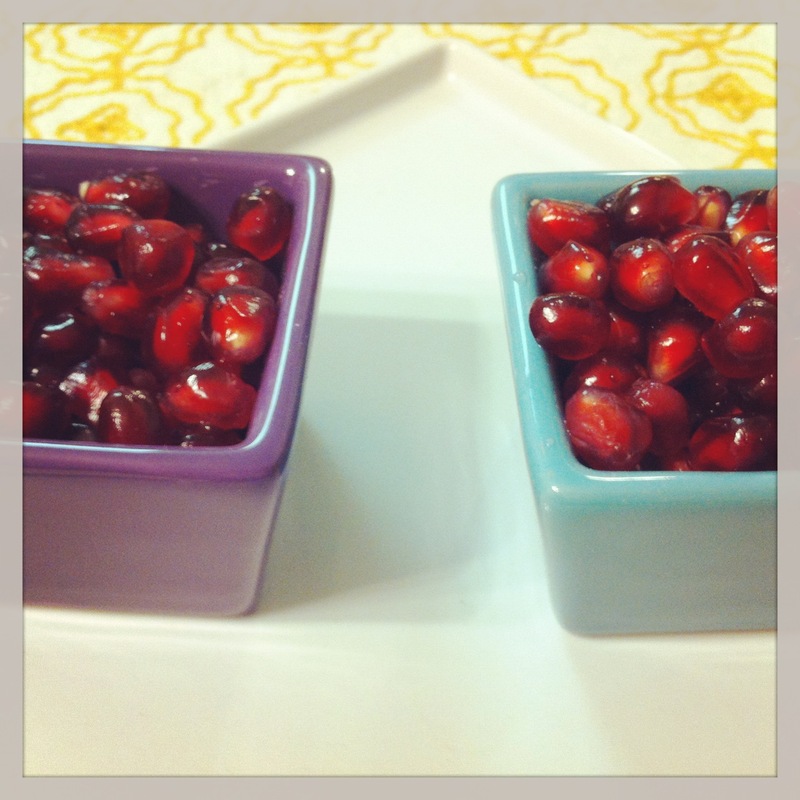 Put the pomegranate in a bowl of water (or over-sized Tupperware of water) to soften it up. 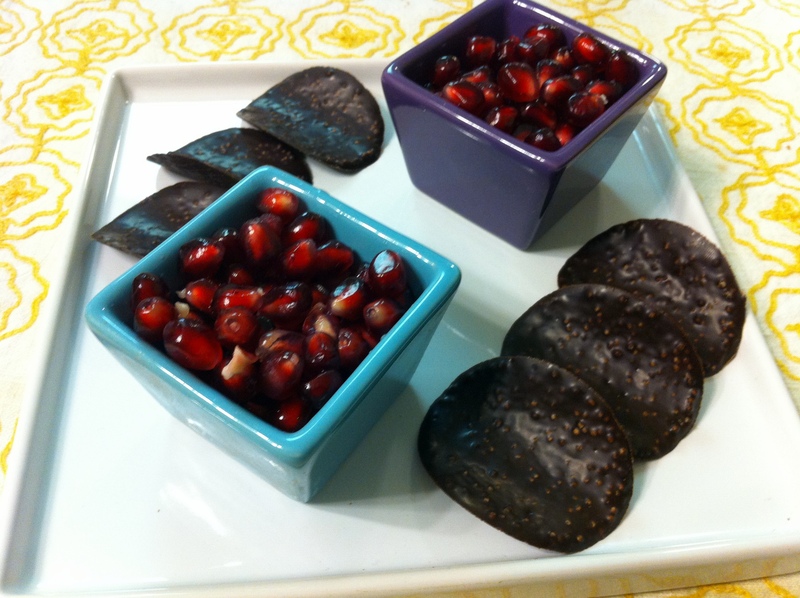 Be careful, because the seeds can pop and stain clothes, counter tops, and cutting boards. 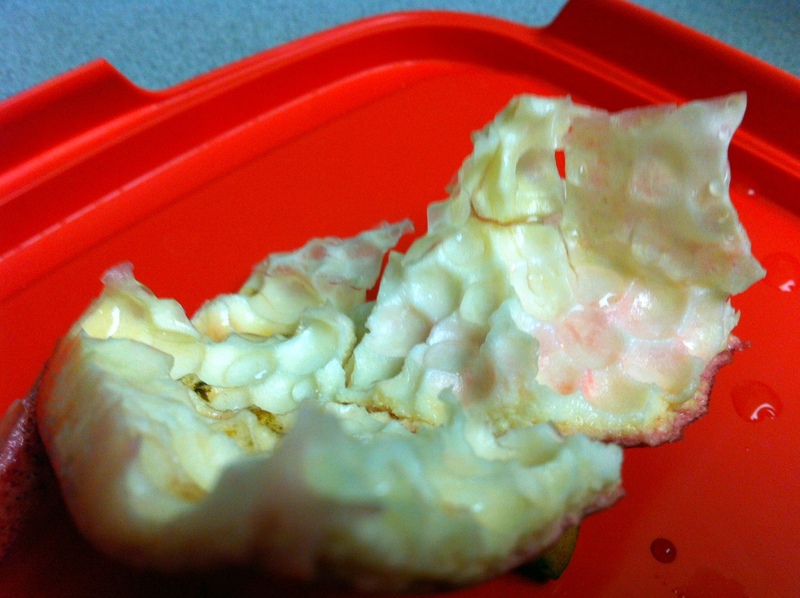 Start breaking the seeds out of the rind. Go slowly – and peel ’em all out! 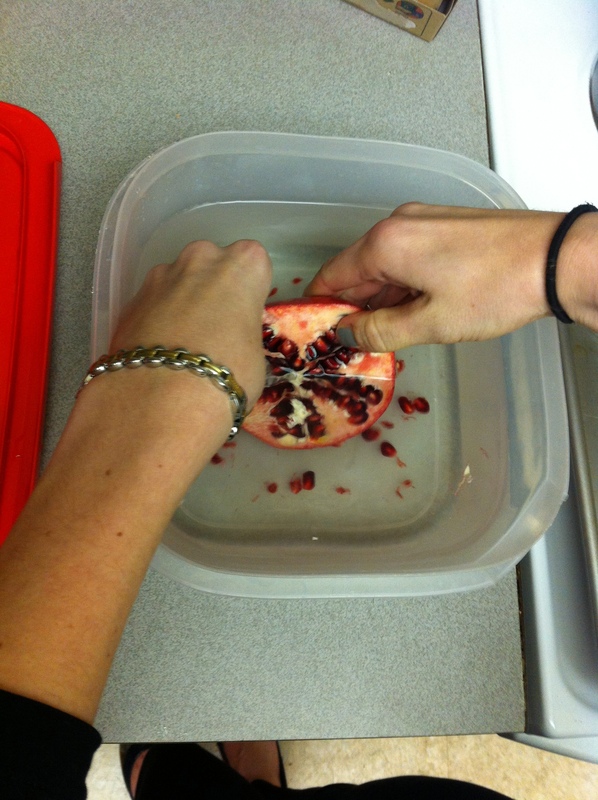 Once the seeds are out, toss the rind. Rinse the extra bits of rind off of the seeds and dry them on a paper towel. Whoops, oh well! I seeded another one last night, but it didn’t turn out quite as well as yours. I think yours was riper. Blown.